If your home utilizes a wood stove or fireplace, and you have a hard time recalling the last time it was cleaned, chances are that is long overdue. If you're adventurous enough to get your hands dirty, and trust yourself, here is how you can clean the chimney yourself. In today's blog, we'll show you how to inspect your chimney to see if it is a DIY job, or if you will need to hire the expertise of a certified chimney sweep. Almost all fires in a chimney start in the smoke shelf / chamber area, so that is going to be the most important part to clean. 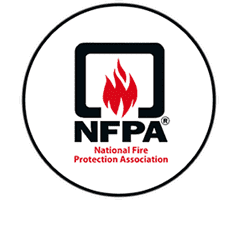 Due to that area being hard to reach for most fireplaces, you will want to check to see if you can reach it, and still have enough space to use a brush. If you can't reach it, then this is not a job for you, but a certified chimney sweep. If you can reach it, from here you will want to see if you can access the chimney crown. If you have a super steep roof pitch, or if you're uncomfortable with working on top of a roof....then this is not a job for you. Call a certified chimney sweep, and save yourself a trip to the hospital(seriously, this happens more often than you think). If you are comfortable with heights, please still ensure further safety by wearing a harness. While creosote buildup does not appear dangerous, it ignites at a fairly low 451 degrees F. Upon burning, it will expand and act like a sealant. In under a minute, it can build to be more than 2,000 degrees Fahrenheit. At this point it will engulf your entire chimney, which in turn will destroy your entire house. Even a chimney that is regularly cleaned, doesn't mean that you shouldn't have it inspected by a certified technician each year. 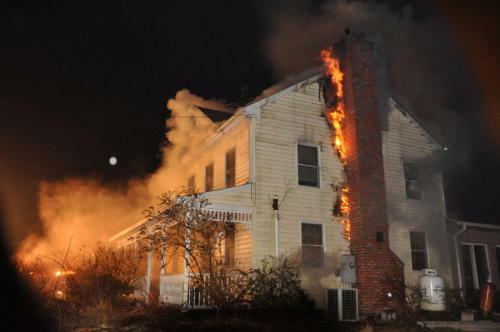 We are trained to spot deterioration & venting problems that could act as a major disaster to you and your loved ones. This is especially true if you burn wet (green) logs. 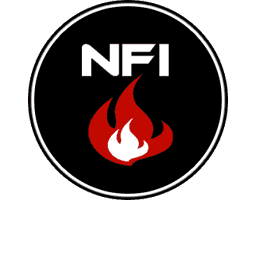 You will want to make sure to have your unit inspected every fifty or so burns. If you aren't sure that the wood you are burning is wet, check to see if moisture is bubbling out of the ends of the logs while they are burning. If there is, then this wood is wet. This type of wood doesn't burn cleanly and send a lot of smoke up the chimney which eventually turns into creosote & soot. A dry hardwood, such as birch or oak, will burn hotter & cleaner, and will only need to be inspected or cleaned every seventy or so burns. A super easy way to tell if your chimney needs to be cleaned is to run the point of your fireplace poker along the inside of your liner. At this point, if you find 1/8 of an inch or more buildup, then you should call to have your fireplace cleaned. We may see forty to fifty fires a year, and more than half of those would have been prevented if the user simply had their chimney cleaned. Extreme cases of this might require special tools / product in order to ensure that the fireplace is fully cleaned. 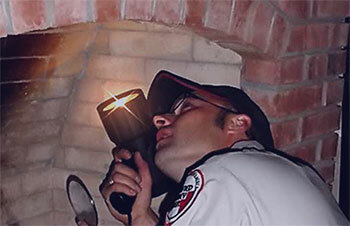 Inspection: soot buildup, obstructions, cracks in the chimney liner, as well as signs of water damage. 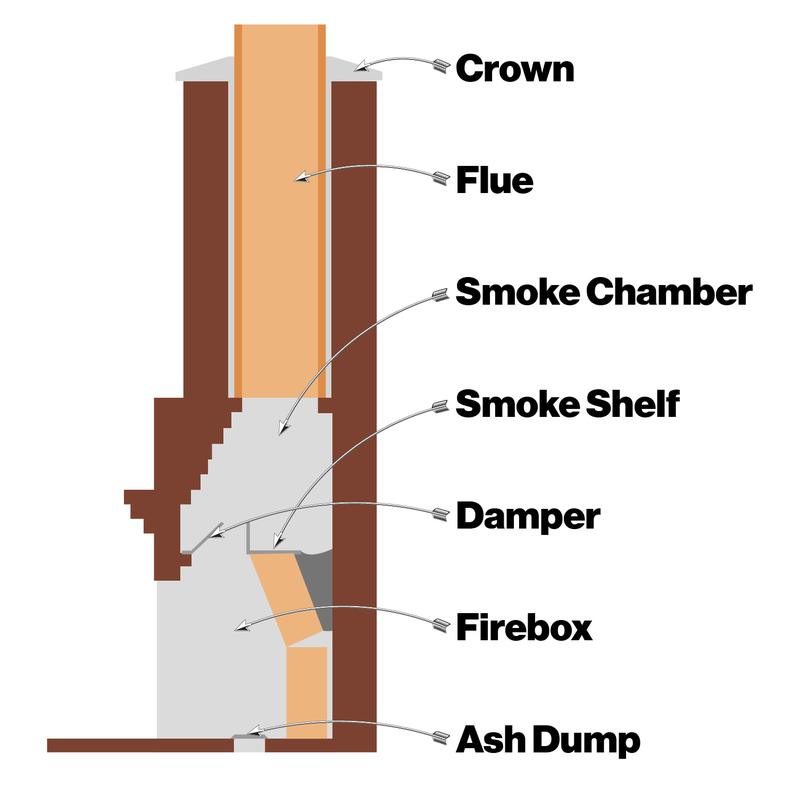 Often, an older chimney may have gaps between the clay liner sections, as well as lost mortar. Outfit yourself with a respirator and goggles, then clean out the firebox of all ashes while removing the grate. Make sure you open a window or door for a few minutes before you open the damper so that the pressure has a chance to equalize. After this, open the damper and allow it to breathe for a few minutes so that the heat can rise from your home. Grab a fireplace poker and the brightest flashlight you can find, and lean into the firebox. Shine your light into the smoke chamber / flue while using the poker to scratch the surface. If the soot on this surface resembles a matte black finish, with less than 1/8 inch buildup, then you can safely do the job. If the buildup is deeper / shiny, and appears to look like tar, then you need to immediately call a professional for help, and ensure you don't use your fireplace until you have a proper cleaning. You will need to make sure that you have the appropriate size brush for cleaning your flue, as there isn't a 'one size fits all'. You will also need to obtain specialized brushes for the firebox / smoke chamber. You can search for this at a home center, or order it online. Lay down a canvas tarp of the hearth, while spreading it into the room. You will then want to use poly trapping and tape to place over the fireplace and insert a shop vacuum hose. From here you will seal everything with duct tape, in order to ensure that ashe / soot isn't getting everywhere. Start your vacuum, and then clean the top of your chimney with a wire brush. You will continue to move further into the fireplace, while adding rods, until you no longer feel brush resistance. This means that you have reached the smoke chamber, and that it is time to get off of the roof, and start working inside of the firebox. Carefully remove a tiny part of the poly sheeting, and use a long-handled brush to clean out the chamber. At this point grab your noodle brush to remove all soot from the smoke shelf. Again, switch back to a long handled brush to clean the sides. You will finish by vacuuming the entire firebox. Clean up your poly sheeting, as well as your canvas tarp, and place them out of the way(outside). While outside, give them a brisk shake, so that you can use them for the next sweep. Have the necessary tools for this DIY fireplace cleaning project lined up before you start—you’ll save time and frustration.